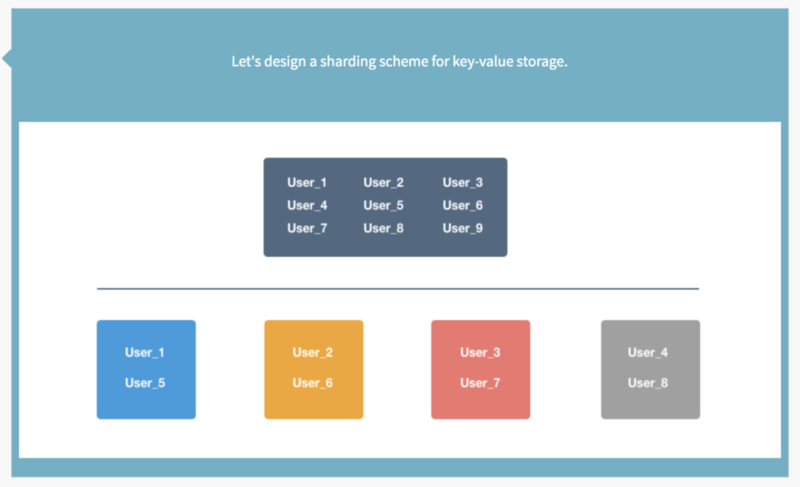 Let’s design a sharding scheme for key-value storage. Question1: Clarity the requirements from your experience/viewpoints. You can discuss with the interviewer to sort out all vague parts. Or make reasonable assumptions by your own. How much data it should support? A key question for the whole discussion. What the read/write OPS would be? Do we need to keep very old data? Data retention. If yes, we usually can have some assumption for the maximum size of the whole data. How large the hot data would be? Question2: What typical ways of partitioning data? Question3: Propose your architecture diagram. Question4: Suppose one node is down, how the partition would keep working? Typical Question: How You Make Your Design Production Ready?